It's a topic we've addressed in various forms, but this is an entire show dedicated to medicine. Science-based medicine. Alternative medicine. The names and claims of many so-called "natural" cures. And the charge that medical science should be distrusted in favor of unlicensed "healers" who operate outside the checks and balances of regulatory agencies, and who - in so many cases - are making a pretty penny. 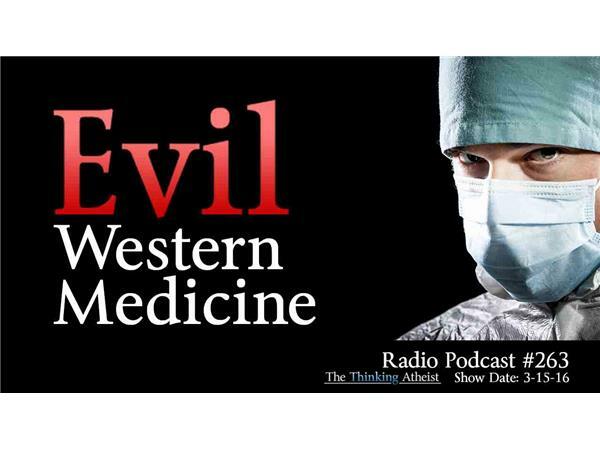 Joining us for the show are Dr. Harriet Hall (the "SkepDoc") of Science Based Medicine: https://www.sciencebasedmedicine.org, and Dr. Stephen Barrett of QuackWatch.com.